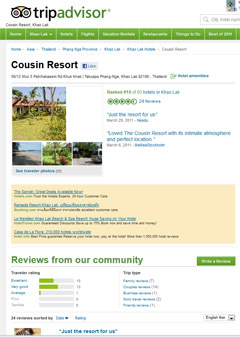 The Cousin Resort is a truly family resort where the great number of repeat bookings is testimony to the popularity and value for money of this extremely friendly resort where nothing is too much trouble for owners Sang & Sun and the Cousin family. 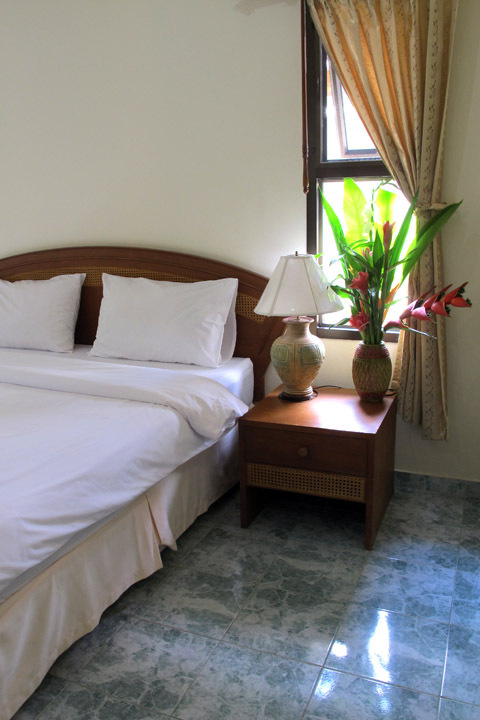 You are guaranteed a warm welcome and enjoyable stay at our family friendly bungalow resort. Only 70 minutes from Phuket International Airport, the Cousin Resort, Bang Niang, Khao Lak, Thailand is just 100 metres from the beautiful Bang Niang Beach and is within easy walking distance of restaurants, bars and shops that line the nearby roads, making it your ideal location for that long dreamed of tropical vacation. Khao Lak is renowned for its coastline of over 25 km of beautiful beaches on the Andaman Sea coast. 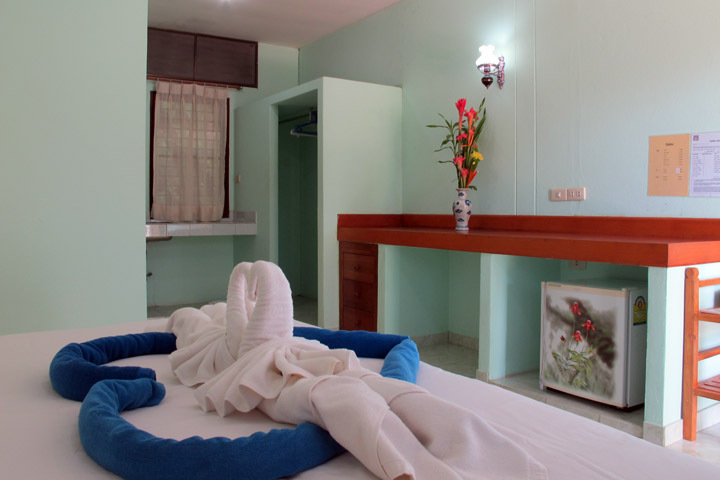 Cousin Resort offers a mix of accommodation to suit all visitors’ needs. Single and double bungalows, the latter ideal for families or friends holidaying together, face the lovely pool that also boasts a small Jacuzzi; spacious deluxe bungalows, family bungalows with 2 bedrooms, single bungalows and air-conditioned rooms look out over the gardens; and a family suite apartment overlooks the entire resort. As well as the pool, the resort has its own restaurant and massages can be arranged on site. There is a tour desk and scooters for hire. There is a PC with printer available for a small charge at Reception with free wi-fi internet there and throughout the resort. 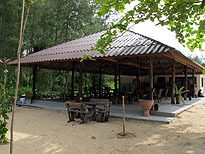 Cousin Resort Khao Lak, stays warm year round with a Dry (High) season running from November to April 15th and a Wet (Low) season the rest of the year. Peak season is December 20 to January 20. The Dry season has the best weather with lots of sun and occasional tropical rain. The Wet (or Monsoon) season has most rain but still plenty of sun. With accommodation rates much lower and nearly deserted beaches the Cousin Resort offers a wonderful “get away from it all” opportunity for a truly memorable vacation. Cousin Resort Koh Kho Khao. Watch this space and the following pages for information on our brand new Cousin Resort Koh Kho Khao currently nearing completion. The resort will feature individual bungalows, restaurant and pool right on the edge of a pristine beach. There are only a handful of resorts and restaurants on this island paradise with its gorgeous, unspoiled and largely empty beaches. It offers the perfect opportunity to enjoy the contrast of the Cousin Resort in busier Bang Niang with a peaceful stay in an unspoiled idyllic location at the Cousin Resort Koh Kho Khao. Quick Tour in Cousin Resort (Bang Niang and Koh Kho Khao).